As a food supplement for adults, one (1) tablet of Solgar Dry Vitamin A daily, preferably at mealtime, or as directed by a health care practitioner. Dibasic calcium phosphate, vegetable powdered cellulose, vegetable stearic acid, magnesium stearate, silica. 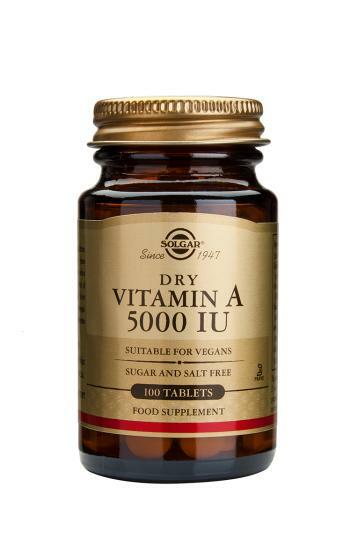 Solgar Dry Vitamin A is suitable for Vegans. This product contains vitamin A. Do not take if you are pregnant or are likely to become pregnant, except on the advice of a doctor or anti-natal clinic.